At the end of last year, we produced a video for Norman musician Kyle Reid’s Kickstarter campaign for his new record. The album, Love & Trust (In the Age of St. Sugar Britches), was the result of a summer spent in New Orleans – a time dedicated to documenting songs written since 2014. Kyle returned to Norman with all album songs tracked, him having performed its contents almost exclusively. 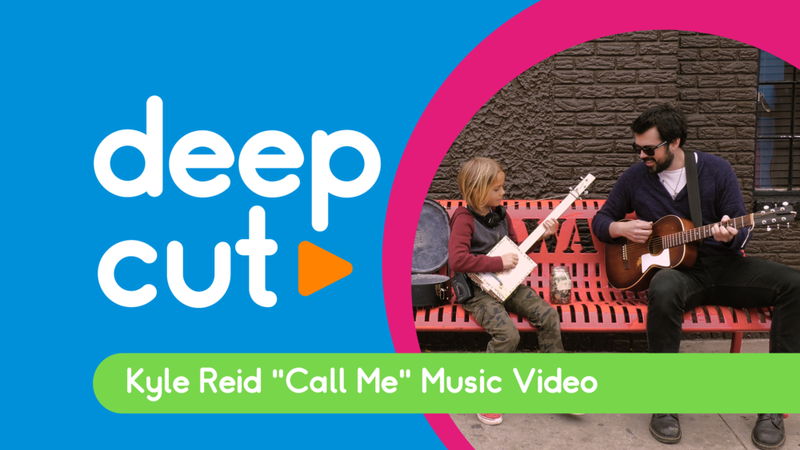 Once the Kickstarter…kickstarted…and was fully funded, we set out to make a music video for the song “Call Me.” Having just worked with Kyle to tell the story behind the album, we had a pretty good idea for the kind of style and tone to set in the music video. After a quick meeting to finalize the concept, we were off to storyboard and shoot! Incorporating a few of Kyle’s edit ideas made our planned narrative—a boy obtaining his first guitar, visiting a couple quintessential Norman spots along the way—even more memorable. It wouldn’t have been possible without our nimble cast: Asher and his dad Michael, Greg, Lola, and Pickle. Thank you! Check out Kyle Reid’s music and list of upcoming performances here.